Its very easy to Pin any webpage in windows 7 taskbar. Just drag and drop. Open hotmail.com in IE9 and login in your Hotmail account. 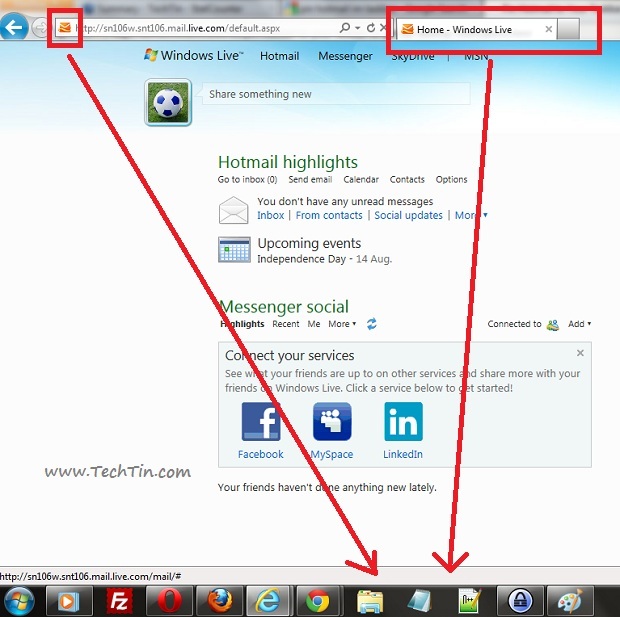 Drag the Hotmail icon OR Hotmail tab from the address bar and drop it in taskbar region. Hotmail is now pinned in your windows 7 taskbar. 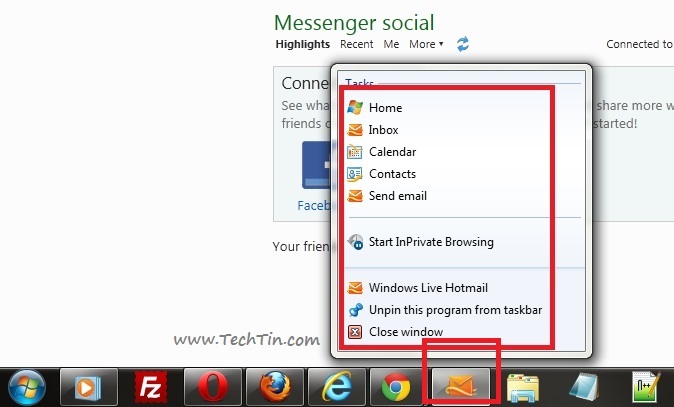 You can now quick access Hotmail, calender, contacts etc right from your windows 7 taskbar. 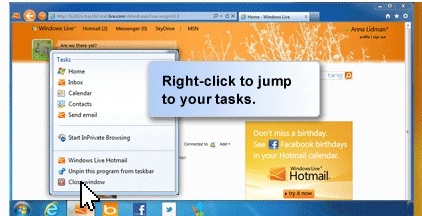 Right click the Hotmail icon for quick access to other services.